Dining rooms are generally associated with having a meal. But their importance is not just limited to dining. They are the place where members of a family spend time together. They are also among the most important decorative items kept in a home. For those who truly value their friends and family, choosing the right dining table sets holds great importance. 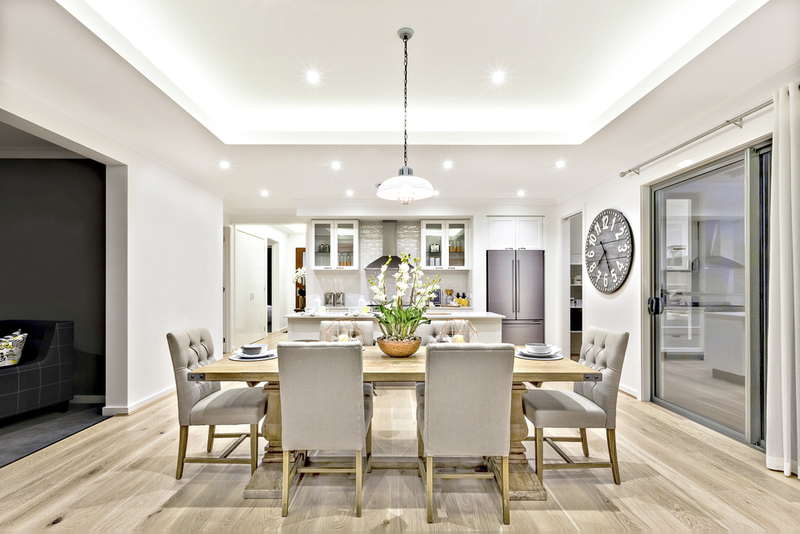 Before selecting the dining table set for your dining room, the first thing that you need to keep in mind is the space available. You also need to evaluate the number of people who will be using the dining set. You also need to check that the dining set is made from durable material and easy to clean. Dining tables can be divided in to three categories i.e. contemporary tables, country tables, traditional tables. The contemporary dining tables are extremely attractive in appearance and have modern designs. They are constructed by using a variety of materials like metal, wood and glass. The country dining tables have simple designs and are comfortable in use. These tables are mostly made from oak wood. The traditional tables are generally made from dark wood and are characterized by rounded edges and floral designs. • Round dining table sets- Like square tables, round dining tables are also useful in situations where a large number of people are involved. Many furniture stores are offering beautifully designed round dining tables. • Pub dining table sets - The pub dining table are ideal for usage during parties. They can also be used for daily use at homes. • Square dining table sets- The square tables offer additional space and are suitable for situations where large number of people are involved. These tables are available in a variety of designs and sizes. • Small dining table sets ? These dining tables are specially meant for homes with small dining rooms or with lesser members. These tables require lesser space and are easier to clean. • Oak dining table sets ? These tables have been in use since medieval times. These tables are ideal for parties as well as for casual use. Both large oak dining tables and small oak dining tables are available. • Glass dining table sets ? These dining tables are known for their attractiveness. These tables are easier to clean than most of the other tables. These tables are extremely delicate and need to be handled with care. Before making the final decision regarding the purchase of a dining table you have to keep some points in mind. You should choose a dining table whose furnishing can match with the rest of your home. You have to evaluate which dining table will, suit your room size. If you have a large dining room then you can keep a large table. If you have a small dining room then a small dining table will be suitable. You should try the dining table set yourself before purchasing it. The factors like whether the chairs are comfortable or not must be considered.